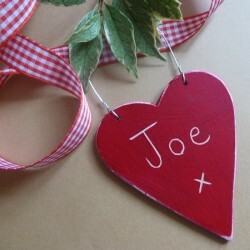 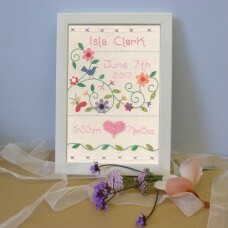 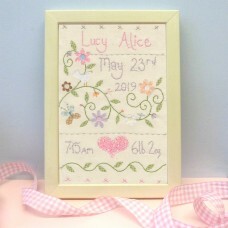 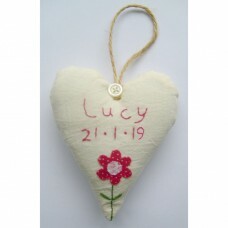 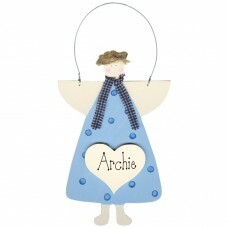 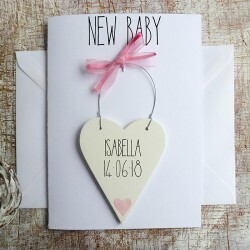 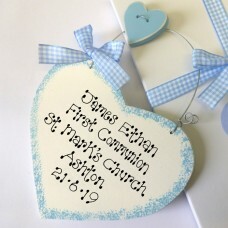 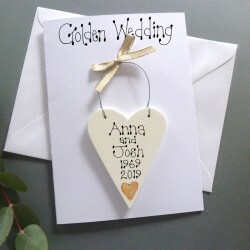 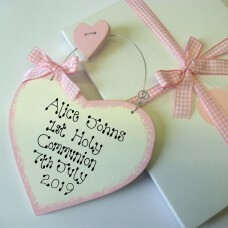 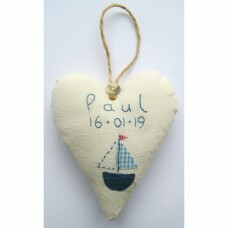 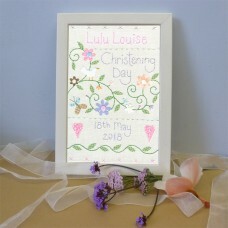 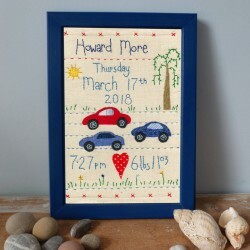 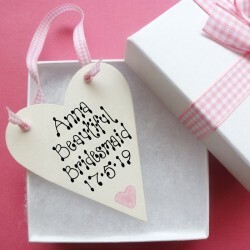 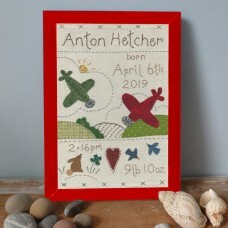 Personalised Baby and Child gifts, cards and hearts for all occasions handmade with country style from Country Heart. 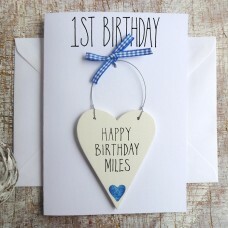 Personalised Baby Boy's 1st Birthday Card AVAILABLE IN 5 DIFFERENT COLOURS. 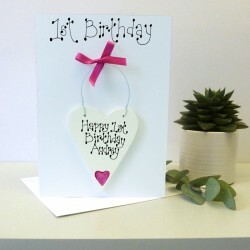 This card bears a p..
Personalised Baby Girl's 1st Birthday Card AVAILABLE IN 5 DIFFERENT COLOURS. 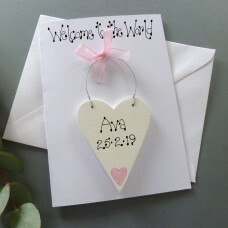 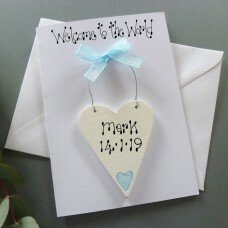 This card be..
Personalised New Baby Card AVAILABLE IN 5 DIFFERENT COLOURS. 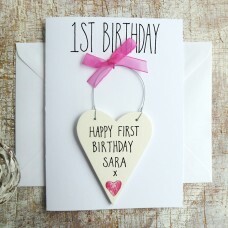 A This card bears a personali..